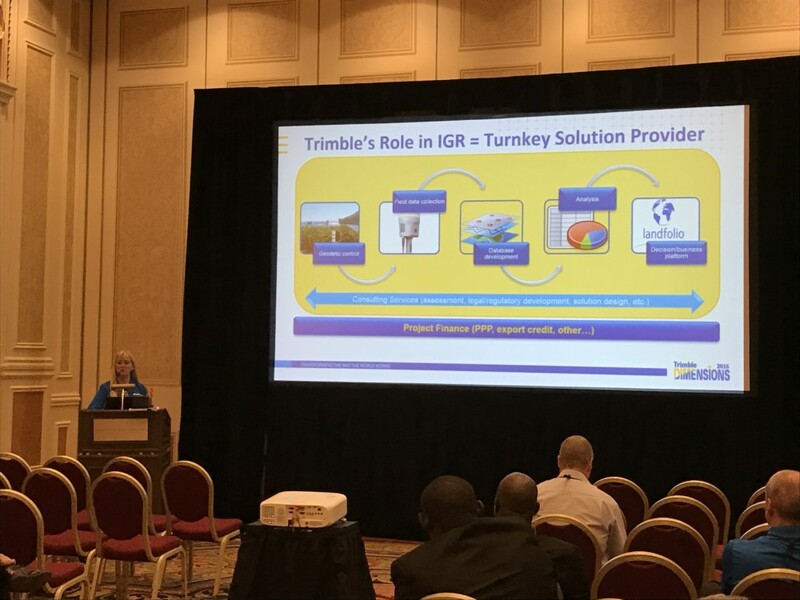 Last week Trimble held its bi-annual user conference, Trimble Dimensions 2016, at the Venetian in Las Vegas, NV and the conference was a great success! With more than 4,400 registered attendees representing over 80 countries; customers, partners, and Trimble employees shared how their use of Trimble technology is transforming the way the world works. Read the full press release here. 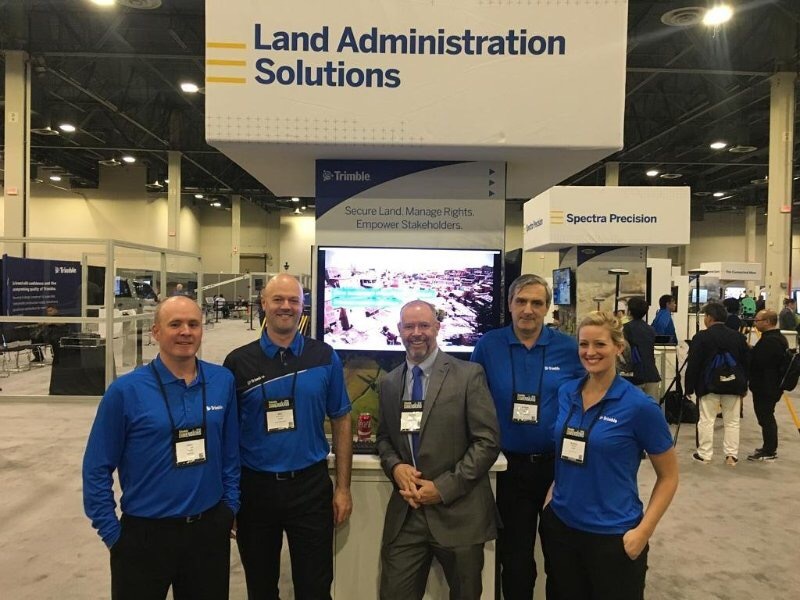 The Land Administration team participated in the conference by sharing the breadth of our solutions from Penmap to Landfolio for government, surveyors, and private industries. Jill Urban-Karr, Executive Director, Consulting Services & Landfolio Solutions, told us how governments can leverage land to realize and sustain significant internally-generated revenue (IGR) growth. 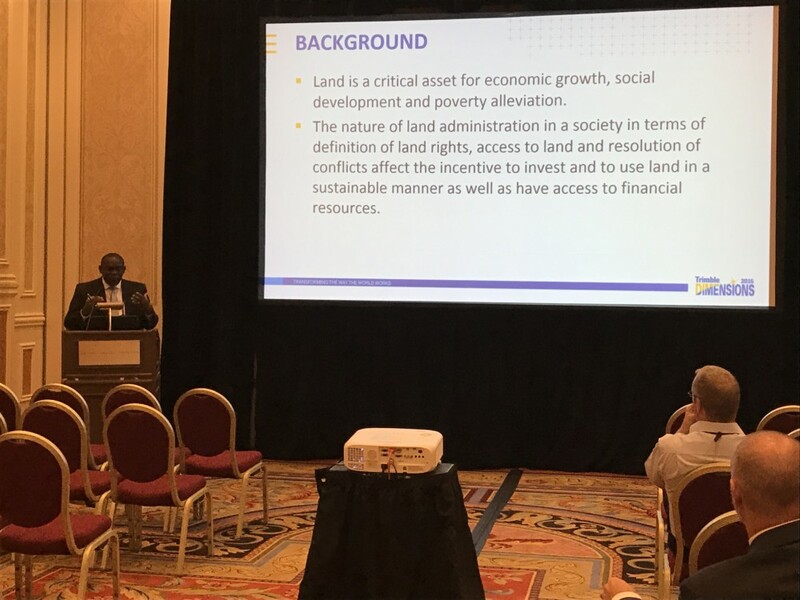 Dr. Benjamin Quaye, National Project Coordinator, Ghana shared and engaged in discussion on how Ghana has transformed its Land Administration system. Erik Schuetz, Trimble, presented a practical implementation of the key elements of a fit-for-purpose approach for land administration: flexible, inclusive, participatory, affordable, reliable, attainable and upgradable. Two applications of Penmap software, for crowdsourcing and land pilot projects, were presented. We introduced the Trimble Catalyst software-defined Global Navigation Satellite System (GNSS) receiver that transforms Android consumer devices into high-accuracy mobile data collection systems. For a copy of any of the Land Administration presentations from Trimble Dimensions, please contact us. Other conference highlights included demonstrations of mixed-reality using SketchUp Viewer for Microsoft HoloLens for building design, visualization and construction. Autonomous technologies were also showcased in a wide variety of applications, from agriculture to indoor mobile mapping. Watch videos of the highlights here. Finally, the conference concluded with an exciting customer appreciation event and performance by American Idol contestant, Chris Daughtry! We look forward to seeing everyone in 2018! Dr. Benjamin Quaye presents on the importance of land administration for economic growth, social development, and poverty alleviation. Jill Urban-Karr presents on Trimble’s role in internally-generated revenue for government agencies.